Dan will explain how captioning service is paid for through Title IV of the Americans with Disabilities Act (ADA). Just as captioning can help you watch TV, you can see your entire phone conversations on landline and mobile phones in real-time – and at no cost. Chapter Meeting – Noon to 1:30 PM, North Sarasota Library Henry Kisor is the retired book editor of the Chicago Sun-Times and author of six mystery novels set in the Upper Peninsula of Michigan. He was a finalist for the Pulitzer Prize for Criticism in 1981 and was inducted into the Chicago Journalism Hall of Fame in 2001. Kisor’s reviews and articles have appeared in the New York Times Book Review, the Los Angeles Times, The Washington Post and on MSNBC. Henry, who has lived with profound deafness since the age of three, will give attendees insight into strategies he employed to create a full and successful life. He will point out how people with any degree of hearing loss can do the same. Dr. Jack Wazen, MD, ENT will take us behind the scenes for the latest developments in hearing restoration. 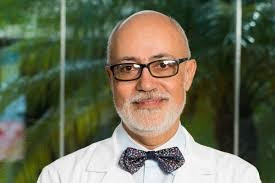 Dr. Wazen is the Director of Research for the Ear Research Foundation and is an expert in treating dizziness, balance and other disorders, as well as performs cochlear implant surgery. We know that our hearing aids/cochlear implants do not work without batteries. We put in a new battery and sigh with relief that we can hear again. We are a battery away from hearing or not hearing. Isn’t that interesting? It goes without saying that we folks with hearing loss must carry spare batteries all the time, everywhere we go. Fresh batteries give the best performance. When you remove the little orange tab from your new battery, let it sit for one minute before you insert it into your hearing aid. It will last longer. Try not to pull the tab off until you are ready to use the battery. If the battery gets wet, then throw it out. Batteries do not work well when wet. With implant batteries, place them in a dryer overnight. If you are lucky, they will dry out. I heard of someone who dropped one in the toilet. It still worked after a night in the dryer. Remember to remove the battery from your hearing aid and leave the battery door open when you take off your hearing aid. With implants, also do remove the battery from the implant when you are not using it. Please do not put your batteries in the ‘fridge or the bathroom (might get wet). Put batteries in a safe place – away from children or pets, who may eat them. Check the expiration date when you buy a pack of batteries. Oh, and remember – carry batteries with you always. TEAM Together Everyone Achieves More! ClearCaptions is a FREE phone captioning service that provides near real-time call captions of phone conversations for anyone hard-of-hearing or with any form of hearing loss. 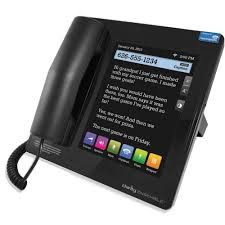 You can read real-time written call captions of what callers say on your revolutionary home phone, mobile device, or your computer. LUNCH AND LEARN WITH THE HLAA SARASOTA/MANATEE CHAPTER! The Chapter will open the room by 11:45 AM and the meeting will begin at noon. We encourage members to come early, as the Chapter will provide sandwiches, chips and cookies at a charge of $5. It’s OK to bring your own lunch as well! “Why Should I Consider a Cochlear Implant?” was our topic and Virgi Mills, MED, a Consumer Engagement Manager for MED-EL was the presenter. 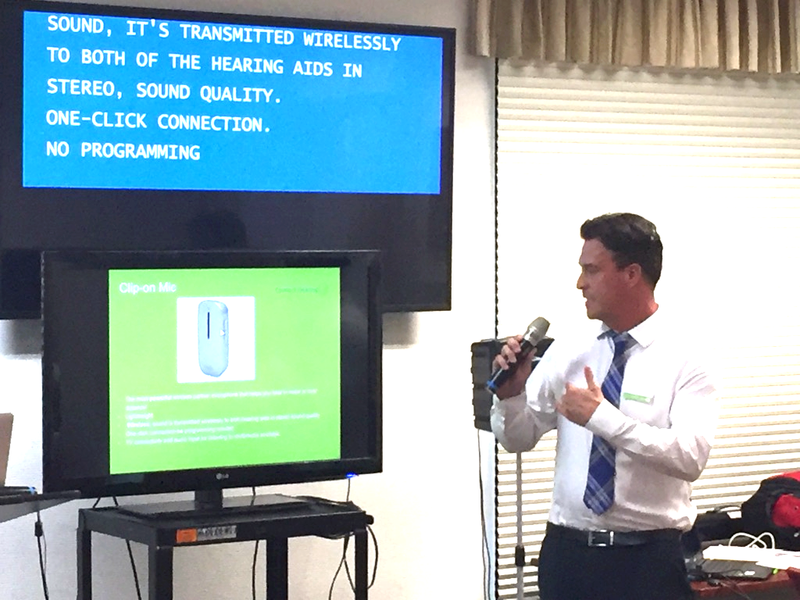 A well-attended Chapter meeting learned about all the latest in advancement of cochlear implants, including bone conduction technology. As they say on Twitter, #bellsandwhistles. St. Patrick’s Day was celebrated with a great raffle with the assistance of Doug Schuler in full Irish regalia. “After Hours” is our social networking meeting format, expanded to 5 evenings for 2019, and featuring expert speakers. Dr. Wazen is an expert who specializes in treating dizziness, balance and other disorders, as well as performs cochlear implant surgery. During his presentation, he will take us behind the scenes for the latest developments in hearing restoration. 1226 N. Tamiami Trail, SarasotaJoin us – the room is looped and CART, too! Members and visitors were interested in hearing the latest in hearing aid technology. Donald Kaczmarek of Connect Hearing made a presentation called “Turning Your Hearing Aids into Super Ears”. He covered a lot of territory, taking questions on the devices discussed, including table microphones, the Roger pen and similar devices, Com Pilot II, the new over-the-counter devices and tie-in to Android and iPhone, the TV Link II, and the new Phonak Marvel. Here in “Loop Sarasota” country, we learned that the rechargeable hearing aids do not come with a t-coil at this time. 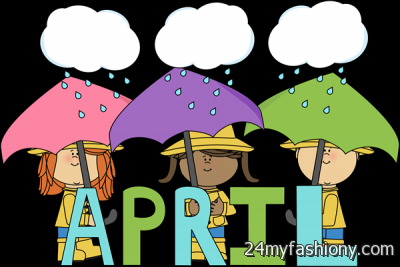 COME VISIT US AT THE SARASOTA FARMERS MARKET ON APRIL 27TH! The Chapter educates and advocates for those with hearing loss at the Sarasota Farmers Market on the fourth Saturday of each month. We are generally set up at Main and Lemon. Consider volunteering for a two-hour shift. On-the-job training is available at any Farmers Market day. Let Dave Donnelly know by contacting [email protected]. The HLAA monthly information and support booth offers an opportunity for people to learn how to address their hearing loss. There are FREE hearing screenings each month. If you have a friend who needs hearing help and cannot make one of our meetings, please suggest they visit us here. 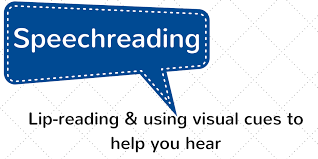 Have you used our Helpful Links/Resources Page for relevant information regarding hearing loss? Click on: http://hlas.org/helpful-links/. Did you ever wonder … “I think I read that a couple of months ago inListen!Up“. Well, problem solved! Use the updated website to review any and all past issues of Listen!Up. Just go to: http://hlas.org/news/listen-up/. 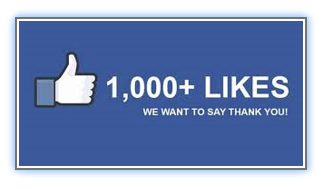 1,131 “LIKE” THE CHAPTER’S FACEBOOK PAGE! Sarasota Airport – The airport looping project is nearly complete. The ceiling installations required additional amplifiers and have delayed the installation. A formal announcement of Florida’s first looped airport should be forthcoming in April. The project was on the front page of the March 27 Sarasota Herald Tribune: https://www.heraldtribune.com/news/20190326/sarasota-bradenton-airport-adds-assistive-listening-system . On behalf of the Sarasota/Manatee board, I would like to say a heartfelt THANK YOU to board member Richard Williams for bringing the hearing loop technology to the attention of the Sarasota airport board. Because of Richard’s initiative and passion for improving communication access, in the near future, many of us with hearing loss will have a more enjoyable experience when traveling to/from the SRQ airport. Thank you, Richard! Also, this month’s Hearing Life features a story about airport looping. Read the article at https://www.hearingloss.org/wp-content/uploads/HL_2019_2_Frazier.pdf. 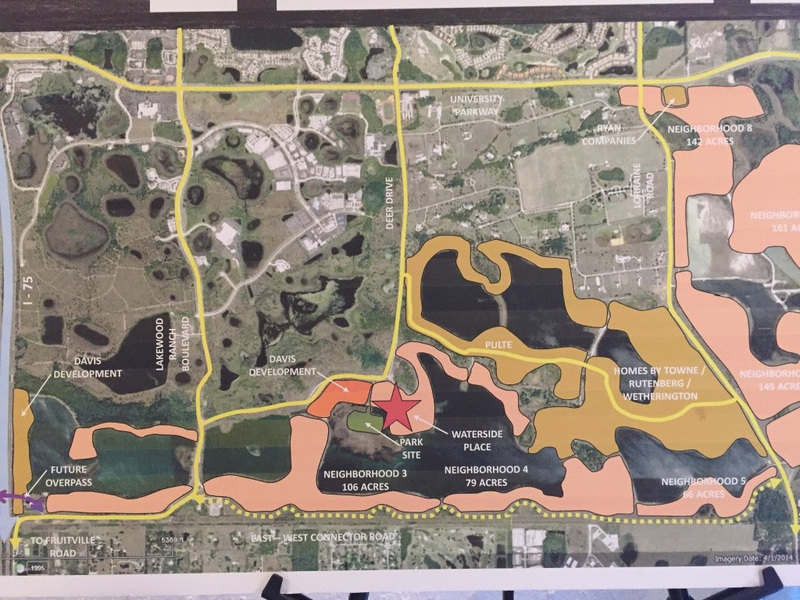 Players Theatre – A meet and greet with the architect of the new Player’s Lakewood Ranch performing arts campus took place on March 21. The architect was proud to announce that the design includes a hearing loop as well as wider aisles. The new Player’s will be north of Fruitville Road just east of I-75. Member Ed Ogiba advocated for the addition of the loop at the Players ten years ago. Before that, member Frank Stocco prepared captions on PowerPoint. 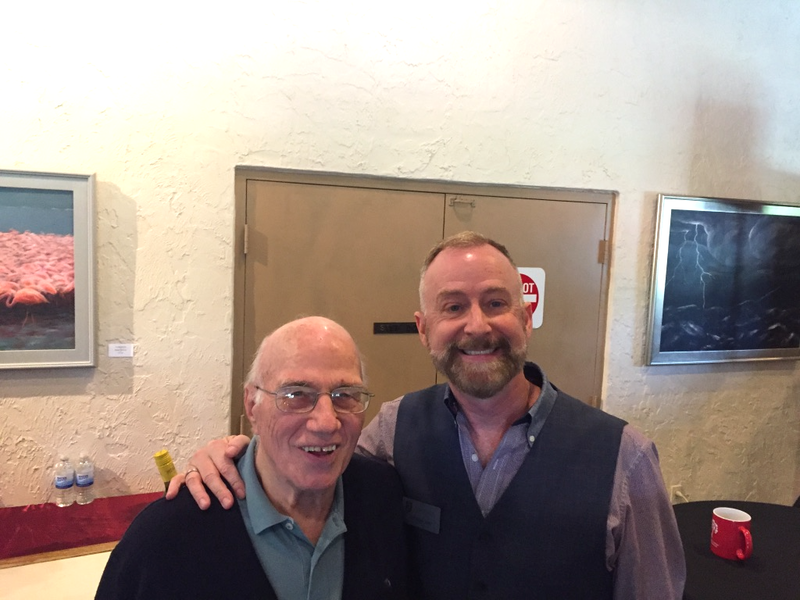 Frank and Artistic Director Jeffrey Kin were very pleased about announcement of the hearing loop in the new theatre. Groundbreaking is expected in October 2019. 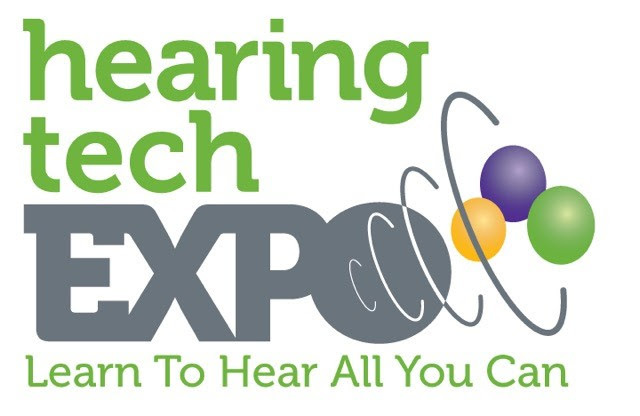 HEARING TECH EXPO ANNOUNCED FOR 2020! The Board met on March 19 and completed its Committee assignments, but have several committees that still need some members to step up and volunteers to assist the all-volunteer organization in its mission to the community. Publicity will be sent out on this. The spring classes will be held at ACE (Adult Continuing Education) Suncoast Technical School. Classes will be held on Wednesdays, beginning May 1 and end June 5th, which makes a total of 6 classes. Sessions are from 10:00 AM to Noon in Room 205 at the Vocational Building and are FREE thanks to an anonymous grant. All students must register at the ACE office either by phone, e-mail, or in person. Contact the ACE office at 941-361-6590. Educational webinars are generally held on the third Wednesday of the month from 8 PM – 9 PM EST. From time to time we will also have product/service showcase webinars, which are sponsored presentations featuring a company’s product of service, similar to an “infomercial.” All webinars are recorded and captioned. Check the latest schedule at: https://www.hearingloss.org/programs-events/webinars/schedule-recordings/. On April 17 at 8:00 PM, Bill Barkelely will talk about “Life Without Limits”. It’s not just a saying or part of a title; it is how Bill lives his life. 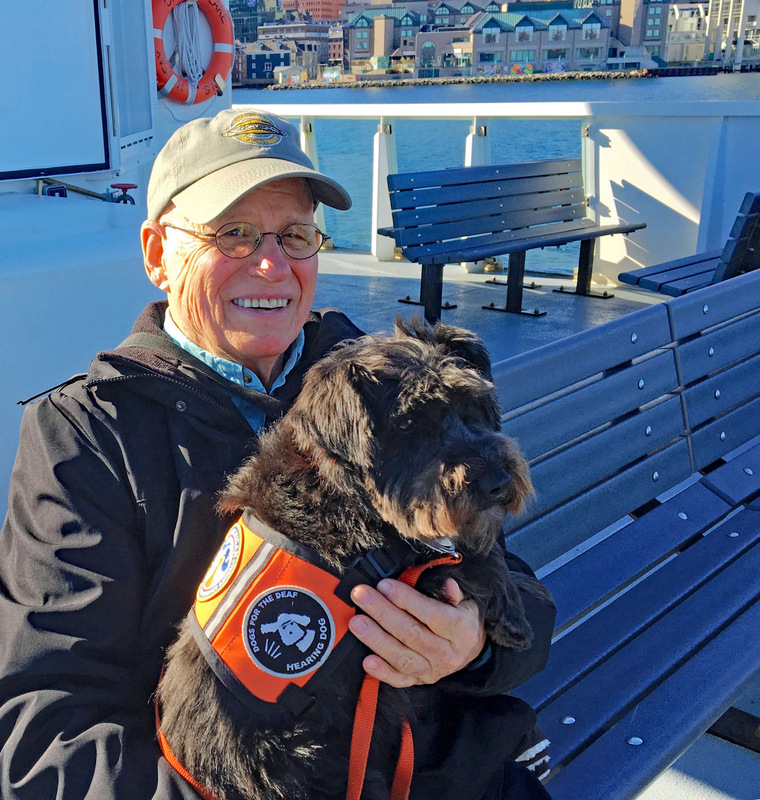 Every year since 2007, Bill has undertaken a significant deaf-blind adventure to embrace and promote the No Barriers Life Elements. He has climbed Mount Kilimanjaro, led deaf student expeditions to the Amazon, Grand Canyon and Machu Picchu, run two Boston Marathons, competed in the Adventure Team Challenge and has hiked the Camino de Santiago from France into Spain. His adventures have fueled his advocacy for those with hearing and vision loss around the world. Bill graduated from the University of Southern California in 1984 with a B.S. in Business Administration. For 25 years, Bill served as Director of Sales and Marketing at Steelcase, Inc., a Fortune 500 company. 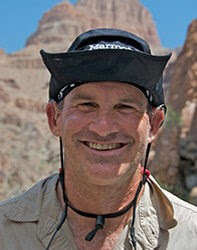 Bill currently travels the world as an adventurer and storyteller to promote education and awareness around hearing and vision loss. He is on the executive committee of the Hearing Loss Association of America (Grand Rapids chapter), serves on the board of directors of No Barriers USA and is a community ambassador for Hear the World. After Hours will begin at 5:00 PM and Happy Hour will follow around 6:00/6:30 PM. Come for the opportunity to hear a nationally respected ENT and author, Dr. Jack Wazen. 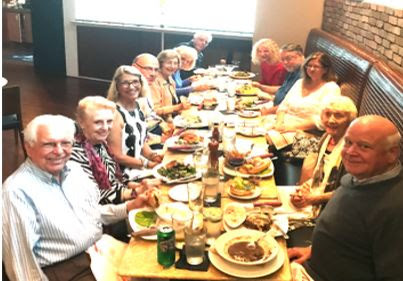 Following Dr. Wazen’s presentation, stay for social networking with hear care professionals, HLAA Chapter leaders, members and supporting spouses, while enjoying happy hour drinks and Bravo’s great menu. We have our own private meeting room! As an HLAA member, you are part of an organization with a mission to provide information, education, support and advocacy to people with hearing loss. Through our advocacy work at the federal level, we represent 48 million people with hearing loss in the United States – that includes you. 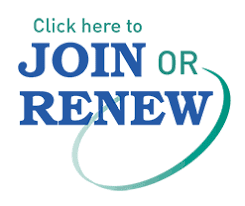 HLAA sends only one notice for renewal and many members have unknowingly not renewed. Please check whether your membership is current by logging in at:https://17291.thankyou4caring.org. bring a $35 check made out to HLAA to the meeting and President Anne Taylor or Membership Chair Richard Williams will handle it for you. 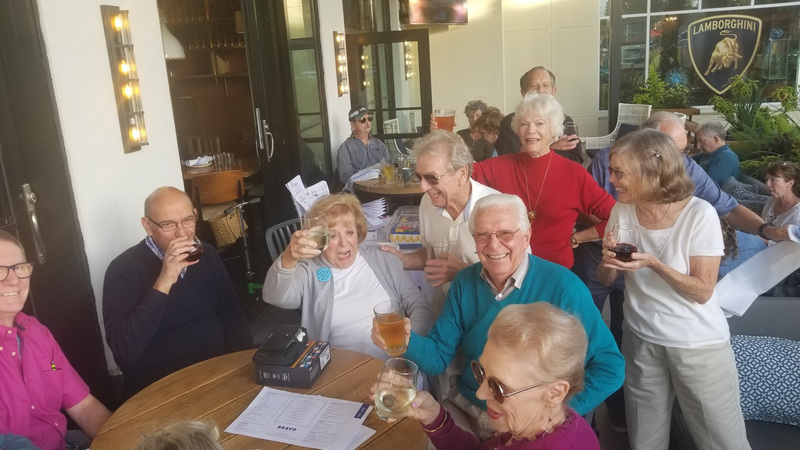 The Club will meet on Tuesday, April 30 around 4:00 to 4:30 PM at the Hollywood 11 on Main St. in Sarasota. At your option, a roundtable “review” and other conversation follow at a restaurant within a short walking distance of the theatre. HLAA members are entitled to a FREE movie ticket with their first outing with the Movie Club. Those interested should contact Anne Taylor to be included in the monthly club mailings ([email protected]). Meet Anne at the inside box office to get your SONY Caption Glasses and when we have enough attendees, we often get “open captions”. Movie Club reviews “Green Book” at MADE after the March meeting! The 89th season of the Players Theatre has drawn to a close. Stay tuned to Listen!Up for the Summer Sizzler tickets to be offered in our May issue still in negotiation. Proving that a great show is always in fashion, Love, Loss, and What I Wore has become an international hit. The show uses clothing and accessories and the memories they trigger to tell funny and often poignant stories that all women can relate to, creating one of the most enduring theater-going experiences. Making us laugh for the last 50 years on TV, film, and stage, Oscar and Felix, The Odd Couple, are making their way to the Players stage. No other American playwright has made as many people laugh as Mr. Neil Simon. Considered to be his very best play, come see our salute to an absolute American treasure! The Players, located at 838 N. Tamiami Trail, Sarasota, offers 25 FREE tickets to us, as this is a perk of your membership. Members only for this freebie! Remember, only the first 11 rows at Players are looped! If you attend a performance, thank them for the loop. If you use the box office in person, thank them for the loop. Listen!Up recommends buy the book now whether you are able to attend or not. A very wise investment! After seven years as editor of Listen!Up, your editor is retiring in June. If anyone wishes to step up, contact the editor at [email protected]. Facebook, eblasts and the website will continue to keep members and friends up to date on the Chapter’s events. 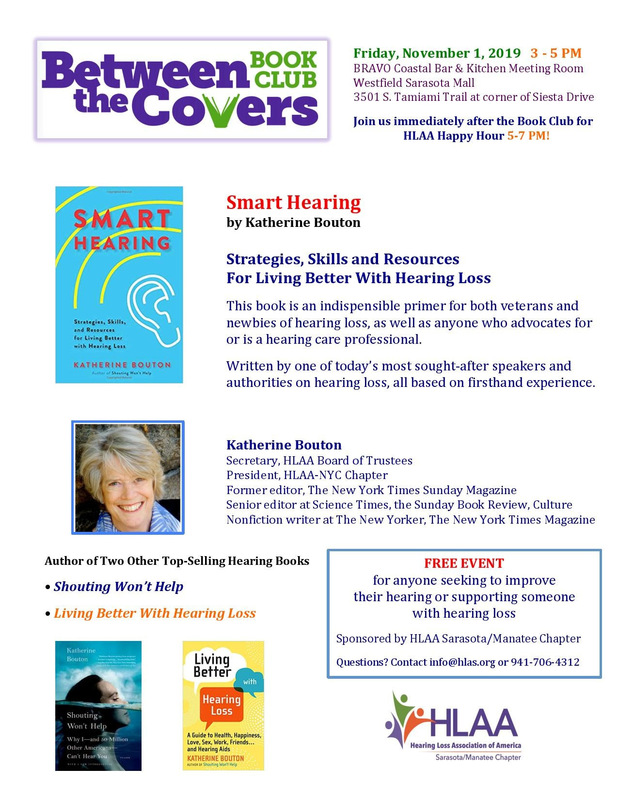 Listen Up HLAA-S monthly newsletter offers Education, Advocacy and Support for the 145,000 people with hearing loss in Sarasota and Manatee Counties. For more information visit www.HLAS.org or call 941-706-4312. Opinions expressed in “Listen!Up” are those of the Editor or Author. Mention of goods and services in articles or advertisements does not mean the Hearing Loss Association of America or the Hearing Loss Association of America-Sarasota/Manatee Chapter endorses same nor should exclusion suggest disapproval.